Jean-Yves worked as an undergraduate at Sheffield University (Nobel Laureate 2016 Prof. J. F. Stoddart), then obtained his Ph.D. from Lyon University/Rhône-Poulenc. After a 18-month postdoctoral appointment at Harvard (Prof. G. L. Verdine), he returned to Rhône-Poulenc, where he spearheaded the introduction of high-throughput parallel synthesis. He moved to Merck Santé as Head of Combichem and then spent two years in New Haven, Connecticut, to work on PTP-1B. He has been elected board member of the Lyon BioPôle and is currently an advisor at the Société de Chimie Thérapeutique. Alfred is an inventor of two NCEs marketed in the life science field, obtained his Ph.D. from the University of Strasbourg (late Prof. G. Ourisson). Following a postdoctoral appointment with the late Prof. S. Masamune, he joined Rhône-Poulenc and held a number of scientific positions, including Associate Research Director (French Chemical Society Organic Division Award 1990). After leading in the mid-90’s the implementation of the emerging high-throughput technologies in crop protection research, he was nominated the Scientific Advisor, Chemical Sciences of the Rhône-Poulenc Group, then Head of Global Discovery, NCE’s for Aventis CropScience. Claude is graduated from Lyon University in Chemistry & Biochemistry, and then joined Merck Santé as a research scientist. He rapidly rose to project management roles, leading teams of medicinal chemists, molecular designers, biologists, ADME and tox scientists in cardiovascular and diabetes therapeutic areas, progressing compounds to pre-clinical and clinical development stages. His medchem expertise ranges from HTS campaigns to lead optimization using drug-design, chemoinformatics, and parallel synthesis. Catherine has extensive experience in asymmetric synthesis and medicinal chemistry. After graduating from Orsay University, she worked for 15 months as a postdoctorate fellow at the University of Ottawa (Canada) on the total synthesis of Taxol® analogs. 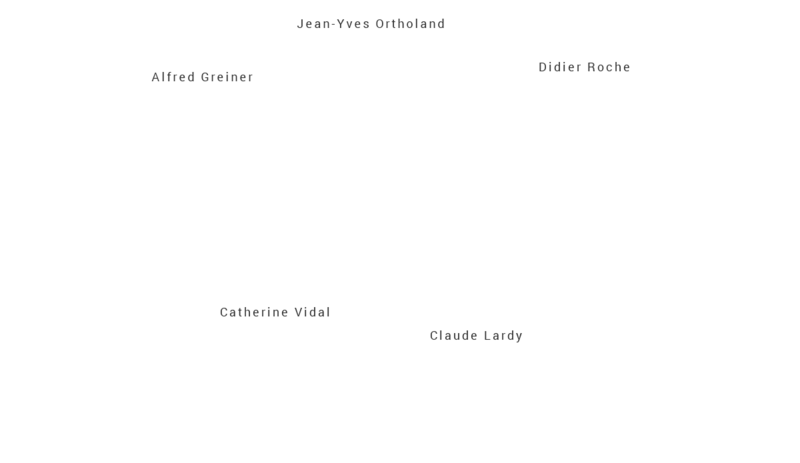 She then returned to Orsay (Prof. H. Kagan), where she worked on the synthesis of novel ligands for asymmetric chemistry. She joined Merck Santé as a medicinal chemist, working in the diabetes therapeutic area. Graduated from Strasbourg University (1995) to join Novartis Central Research in Basel, before moving on to Process Research in East Hanover (USA). He then moved to Merck Serono in 2000 as a project leader responsible for medicinal chemistry and parallel synthesis programs. Strongly implicated in different research projects in the diabetes field, he became Head of the Merck Serono Medchem department in Paris, with wide-ranging responsibilities in Discovery and pre-clinical development. During his tenure he acquired a broad expertise in asymmetric synthesis, medicinal chemistry, chemo-informatics and Discovery project management. 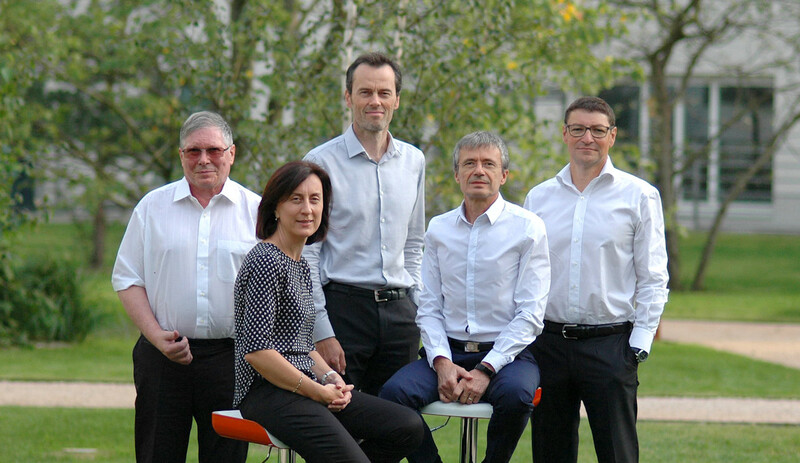 Our team of experienced scientists has a strong chemistry background, gained from academic groups and private companies in France and abroad. On average, our staff has 10+ years of industrial experience in Biotech or Pharma companies.